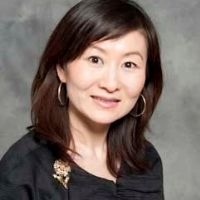 Dr. Fei Song is an Associate Professor of HRM/OB in the Ted Rogers School of Management, Ryerson University. Dr. Song is trained in the field of Organizational Behaviour. Theories and methodologies from social psychology and experimental/behavioural economics have significantly influenced her research. Her research interests include 1) behavioural decision-making, e.g. cooperation and competition, trust and reciprocity, fairness, group decision-making, cross-cultural issues, and 2) strategic compensation and productivity. She has been awarded many research grants and awards, and has published widely in top management and social science journals such as the Academy of Management Journal, Organizational Behavior and Human Decision Processes, Game and Economic Behavior, International Journal of Conflict Management, Experimental Economics, and Journal of Economic Psychology. She teaches in the areas of organizational behavior, cross-cultural and global management, strategic thinking and negotiation, strategic compensation, and research methods.